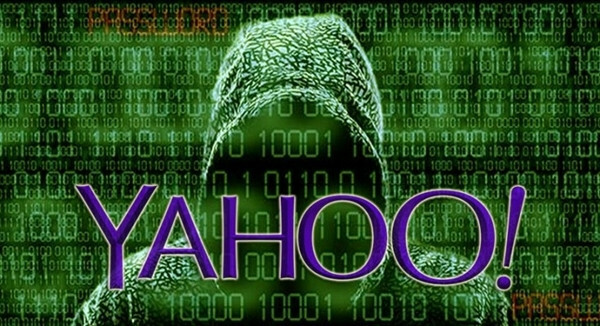 The United States has announced charges against four people suspected of stealing information from at least 500 million Yahoo user accounts in 2014. The four are accused of targeting the email accounts of Russian and U.S. government officials, reporters, financial services employees and military personnel, officials said. Assistant Attorney General Mary McCord announced the indictments on Wednesday. She said the defendants are two officers of the Russian Federal Security Service (FSB) and two computer experts who helped them in the attack. The FSB officers, identified as Dmitry Dokuchaev and Igor Sushchin, "protected, directed, facilitated and paid criminal hackers to collect information from computer intrusions in the United States and elsewhere," she said. One of the hackers, Alexsey Belan, is on the Federal Bureau of Investigation's list of most-wanted cyber criminals. The other, Karim Baratov, was arrested Tuesday in Canada, McCord said. A grand jury in California indicted the four men for computer hacking, economic espionage and other crimes. In the past, the U.S. Justice Department has charged Russian hackers with cybercrime. It has also taken legal action against hackers supported by China and Iran. However, this is the first criminal case brought against Russian government officials. McCord said the FSB officers' role in the hacking made this crime "much more egregious." She added, "There are no free passes for foreign state-sponsored criminal behavior." The indictments come as U.S. officials are still investigating possible Russian interference in the 2016 presidential election. Yahoo did not report its 2014 hack until last September. At that time, the Internet service told at least 500 million users that their email addresses, birth dates, and other personal information may have been stolen. Three months later, Yahoo said it found another attack in 2013 affecting about 1 billion accounts. In a statement, Chris Madsen, Yahoo's assistant general counsel told the Associated Press, "We're committed to keeping our users and our platforms secure and will continue to engage with law enforcement to combat cybercrime." It can checks unlimited numbers of email accounts. Halsey was identified as a leading proponent of the values of progressive education. AIG's global businesses also include financial services, retirement services and asset management. 1.It has also taken legal action against hackers supported by China and Iran. 2.At that time, the Internet service told at least 500 million users that their email addresses, birth dates, and other personal information may have been stolen. We were in the same college, which was male-only at that time.